Question: On October 15 there will be social protest demonstrations held all over the world. What actions should we take in response? Answer: First of all, we cannot stay on the sidelines, away from the world, and we cannot move away from people. 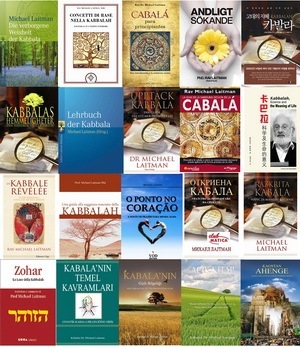 It is written, “I dwell among my people.” Throughout all times Kabbalists kept abreast of everything going on, although they stayed in the background themselves. Feeling the public mood and the processes happening in society, they modernized the science of Kabbalah accordingly. After all, Kabbalah’s intended purpose is to reveal the upper force in this world. When it manifests among us, inside of us, then we will attain perfection. That is why we are coming out to demonstrations together with people. And it’s best for people not to feel or recognize us there. After all, a demonstration is not a place to give explanations. We must only distribute our materials, which have to be thought-out and checked in advance. Let our leaflets find their way across different countries and be in different languages. In them people will read about the true problems and their solution, and will also find a link to our site, which provides expansive and detailed explanations. It is very important to use citations of scientists who support our view. Their opinion should be highlighted on the pages of our sites. So, at demonstrations we should not socialize with anyone or identify ourselves with anyone, but simply give out flyers. We thereby envelop the masses with our information instead of wasting time on personal conversations. In these circumstances this is all that’s required of us is. Everything else belongs to the round tables, to discussions and clarifications, which are forms that are not appropriate in this case. Give a person our flyer, let him put it in his pocket or purse, and a day or two later he will find us. Thus, we do not represent anyone, but simply work as “mailmen,” providing a hand-to-hand delivery. Wise words are heard in silence. They are revealed through discussion, through a search for answers. Therefore, first of all, don’t take our methods in Israel as an example. Everything is different in your location so act independently. Insert scientists’ opinions into the materials and give every demonstration participant your flyer with clear messages and the necessary contact information. Also, try to express yourself on the protestors’ Internet venues. For that you do not have to be in touch with the organizers by any means. Question: What should our message be? Answer: The message is simple: All of the world’s problems are caused by the fact that the world has become integral and global, but we don’t correspond to it yet. On the contrary, we lag behind because we are not united and are not uniting. And to support this, we cite words of scientists as proof. Furthermore, in order to unite, we don’t have to wreak havoc or overthrow anyone by any means. First of all, we have to understand that unification really is necessary, and then go on to discussion. We have to organize venues where we will communicate with one another and where we will lay the foundations of our unity. These venues will most often be virtual and therefore we invite everyone to our site. The scheme is this: the cause of the problem—the solution—the opinion of famous scientists—and the venue to which we invite people in order to start a discussion and arrive at a solution, instead of coming out to the streets over and over again. How long will we hold up this way and what will this give us? Besides, our flyer must make it clear that we are not in favor of disorder. After all, there are many forces involved in a protest that are interested in having it go on. Question: On one hand people are coming out to the streets demanding equality and justice, certain that they can achieve it. On the other hand, we call these demands utopian and unrealistic. How can we let them understand that what they desire cannot be attained by force, but only through upbringing, unification, and mutual guarantee? But we say, “No, first you have to understand the reason for what is happening.” Global tendencies are unraveling right before our very eyes and the problem here is not just stratification into the rich and poor, but a multi-faceted crisis. So let’s understand what this crisis really is. You see for yourselves that you won’t achieve anything through revolutions or by artificially distributing the resources. Real examples of this are modern Egypt, 20th century Russia, and Israeli kibbutzes. You will never achieve success by disrupting the natural flow of things. Therefore, our answer is unification, especially if the issue at stake today is social justice and fairness. But how can we unite? Let’s study this question, and let’s learn to do it correctly. If our initiatives are aimed at justice, equality, and general balance, then is it possible to realize this without unification of people? In this case the means does not match the objective we have set. Do you want to make everyone equal? First bring your desire, your foundations into concordance with this. Otherwise you and your group of a thousand people just want to establish your own social justice, but there is another group of two thousand people who have their own idea about justice. New groups are continually springing up, and the process is joined by the army, the government, unions, and tycoons, while in the meantime the enemies are shrewdly crawling up to the boundaries, and they have their own idea of justice. So how will all of this end? What do you want to do? Can you attain the goal without balancing out all of the contradictions, without attaining mutual guarantee? Is it possible to build anything solid until everyone understands that they depend on one another and have to support one another? Only within this mutual guarantee will we reveal justice. We cannot just give out money to someone. Is that just? There has to be a social consensus, a general agreement. And therefore, we say: First of all, we have to start a discussion, take each other’s interests into account, and unite. Mutual guarantee is what we need. If we attain it, then we will be able to keep going. But before we do, there are only conflicts and mutual deception ahead for us. Question: I agree, this sounds logical. However, the notion of mutual guarantee still seems abstract. It’s unclear how to implement it…. Answer: That means you still aren’t able to convince people that without this condition, it is impossible to address anything else. You have not discerned this for yourself yet and have not demonstrated it to others as an indestructible foundation without which we cannot build anything. Let everyone try to prove you wrong; you still have to accept only this condition: that we won’t manage without total mutual agreement on the fact that every person depends on everyone and everyone depends on every person. When we all agree with the general principles, then we will be able to find the right solution. No matter what we desire—be it social justice, equality, mutuality, or unification, this is possible only on the condition that we all get together at a round table, that the whole nation sits down around it and reaches all-around agreement. Without this, we won’t budge an inch. People will say, “But that’s impossible!” But how do you know: No one has tried it yet. One way or another, without this, only dictatorial methods will work. In reality this is impossible only because we lack upbringing or social influence. This is what we have to form. If the critical condition for future prosperity is impossible to fulfill today, that means we have to work on dissemination, explaining to people what mutual guarantee is and how to attain it. We have to involve the mass media, use every possible channel of influence, and show every person that this is the most important thing for us. This is integral upbringing, by virtue of which we will attain agreement, unity, and mutual understanding, and then we will take the next steps. We must gradually build the phases of the path, showing people that it is impossible to act otherwise. Without the initial period of upbringing, it is impossible to go on to realizing the mutual guarantee because people must be internally ready for it. So many people all over the world are truly anxious and totally helpless. They can’t find any justification for their suffering, and they don’t know what to do, how to make a living tomorrow or in the near future. Some are worried about what will happen to their billions, and others don’t know how they to survive when they run out of their last few pennies. Each one suffers differently, but no one knows how to carry on. We, on the other hand, have suddenly received such a gift from Above that enables us to see the world differently. This is all thanks to the revelations of Baal HaSulam that came to us through his soul, as well as Rabash who was a transitional adaptor between us and Baal HaSulam. Baal HaSulam has passed on to us Light from the world of Infinity through his perfect soul that attained its final correction. But he asked to be lowered because otherwise, he wouldn’t have been able to come into contact with people. Only after he was lowered by many degrees, was he able to write The Study of Ten Sefirot and the Sulam commentary to The Book of Zohar. We don’t understand the level he was on before that, the enormous height from which he couldn’t even tell us anything in words. This was the level of GAR of the world of Atzilut and above, where there is the Light not clothed in the vessels. From there he couldn’t approach people and be heard, so he asked to be lowered. In fact, he fulfilled the mission the Creator had appointed him for, knowing that he would ask for and perform it. We are on the intermediate degree between Rabash and Baal HaSulam and humanity. On one hand, we have to rise in order to understand what Baal HaSulam said. On the other, we have to descend to people’s level and understand what they need from us and how they will be able to accept our message. We have to attain these two poles, both above and below. Baal HaSulam and Rabash spoke from above. We are below, under the Parsa, so that we will have the opportunity to touch and to awaken the world and then together with all of humanity ascend through the Machsom (the barrier) and become included into the upper Malchut. This is our mission. Let’s hope we will manage to realize what Baal HaSulam, Rabash, and all the Kabbalists that preceded them didn’t. They only prepared themselves for it. We draw their teaching, their Light and actually realize it in practice. Let us hope that we will be worthy and will be able to fulfill what Baal HaSulam wrote about. There is no other group that is following his path and is ready to fulfill his method. This is why we call ourselves “Bnei Baruch” (the sons of Baruch Ashlag), and we can say that Baal HaSulam, this great soul, is living among us, and we are bringing it to realization. We need your thoughts for the success of our dissemination effort at the upcoming Frankfurt Book Fair. The fair takes place October 12-16, and over ten friends from across Europe are coming to help. At last year’s event we signed 10 foreign-rights contracts, and in 2011 we signed over 20. Published in 2011: In Italy—three books, in Spain—two books, in Norway—one book, in Brazil—one book, in France—one book, in Germany—two books, in Macedonia—one book, in China—one book, in Sweden—two books, in South Korea—one book, in Slovenia—one book, and in Turkey—five books. Please see some book covers below. Recommended: Connected: The Surprising Power of Our Social Networks and How They Shape Our Lives by Nicholas A. Christakis, MD, PhD, professor at Harvard University, named one of Time magazine’s 100 most influential people in the world in 2009, and James H. Fowler, PhD, an associate professor at the University of California). From the Preface: “As we studied social networks more deeply, we began to think of them as a kind of human superorganism. They grow and evolve. All sorts of things flow and move within them. This superorganism has its own structure and a function, and we became obsessed with understanding both. “Seeing ourselves as part of a superorganism allows us to understand our actions, choices, and experiences in a new light. If we are affected by our embeddedness in social networks and influenced by others who are closely or distantly tied to us, we necessarily lose some power over our own decisions. Such a loss of control can provoke especially strong reactions when people discover that their neighbors or even strangers can influence behaviors and outcomes that have moral overtones and social repercussions. But the flip side of this realization is that people can transcend themselves and their own limitations. In this book, we argue that our interconnection is not only a natural and necessary part of our lives but also a force for good. Just as brains can do things that no single neuron can do, so can social networks do things that no single person can do. “For decades, even centuries, serious human concerns, such as whether a person will live or die, be rich or poor, or act justly or unjustly, have been reduced to a debate about individual versus collective responsibility. Scientists, philosophers, and others who study society have generally divided into two camps: those who think individuals are in control of their destinies, and those who believe that social forces (ranging from a lack of good public education to the presence of a corrupt government) are responsible for what happens to us. Opinion: (Christine Lagarde, the IMF Chief): “International Monetary Fund Managing Director Christine Lagarde said governments and policy makers in developed economies must take action to support the recovery as the risk of recession outweighs the threat from inflation. “G20 finance chiefs, who also met in Washington, pledged financial support to help new governments in the Middle East and North Africa. “Mr Zoellick said such support was vital. My Comment: In general, it all comes down to the Middle East: Israel has the method of coming out of the crisis. Everyone is welcome to visit the Mutual Guarantee site: Eng I Heb I Rus. In the News (from cbc.ca): “About 38 per cent of Europeans, or 165 million people, have some type of mental illness and that most are going untreated, a new study estimates. “The experts surveyed more than 90 different problems, from attention deficit disorders in children to dementia in Alzheimer’s patients. Rates of mental disorders didn’t appear to be rising, compared to a similar study in 2005. “The most common problems included anxiety disorders, insomnia, depression, alcohol and drug dependence, and dementia. Experts estimated only one-third of people receive treatment. My Comment: We forget about it in the light of the economic crisis, but the irreversible climate change that threatens our existence has been taking place for a long time already. It is irreversible because we can no longer reduce it using ordinary methods. However, if we transform our nature, climatic conditions will change for the better, towards balance.